The U.S. Food and Drug Administration (FDA) is investigating the potential for three immunotherapy drugs to cause retinal detachment and vision loss. 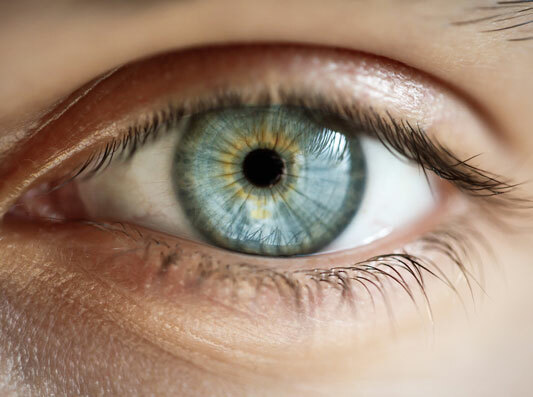 The FDA will consider adding eye toxicities to the warning labels for pembrolizumab (Keytruda), nivolumab (Opdivo) and ipilimumab (Yervoy), which have shown promise in clinical trials involving malignant mesothelioma. All three have already been approved by the FDA for use with metastatic melanoma. Keytruda and Opdivo also have approval for head and neck cancers, colorectal cancers and certain non-small cell lung cancers. The FDA notice said it would evaluate the need for regulatory action. Although none of the drugs have been approved for use with mesothelioma, select patients have been using them in clinical trials or as part of a limited-use program, and some very successfully. Mesothelioma survivor Gene Hartline in Florida, for example, believed his health improved considerably after he started taking Opdivo. Walter Merth, a mesothelioma survivor from Pennsylvania, credits his dramatic turnaround to post-surgery therapy that includes Keytruda. Both told Asbestos.com the side effects they experienced were minimal. There are 10 ongoing mesothelioma clinical trials across the country today involving Keytruda. There are six trials for Opdivo recruiting patients, and four for Yervoy. These three immunotherapy drugs are known as checkpoint inhibitors. They work by countering cancer cell signals that stop a patient’s immune system from attacking. These drugs essentially unmask the cancer cells and allow the immune system to destroy them. Serious side effects are rare with most immunotherapy drugs, but they do occur and often prompt the FDA to act. According to one study published in 2016, a metastatic melanoma patient treated with Yervoy lost vision in one eye four months after treatment began and started losing vision intermittently in the other eye a month later. The vision loss was attributed to an immune-related adverse reaction to the drug. In 2017, two clinical trials for multiple myeloma involving Keytruda in combination with two immunomodulatory agents were halted after researchers reported an excess of deaths. The FDA then halted all trials involving Keytruda in combination with Revlimid and Pomalyst. Most oncologists remain optimistic that Keytruda, Opdivo and Yervoy will become part of multidisciplinary treatment for mesothelioma, despite the most recent setback. The labels for all three drugs already list uveitis as a potential adverse reaction. Uveitis is a serious inflammation of an eye layer covering the inner retina. Stewart, J. (2017, July 17). Opdivo, Yervoy and Keytruda May Induce Rare Adverse Reactions Affecting the Eye, FDA Says. U.S. Food & Drug Administration. (2017, August 31). Statement from Center for Drug Evaluation and Research Director Janet Woodcock regarding safety concerns related to investigational use of Keytruda in multiple myeloma.